As the offshore oil industry ventures into deeper water and greater well depths, the complexity and costs of drilling have increased exponentially. 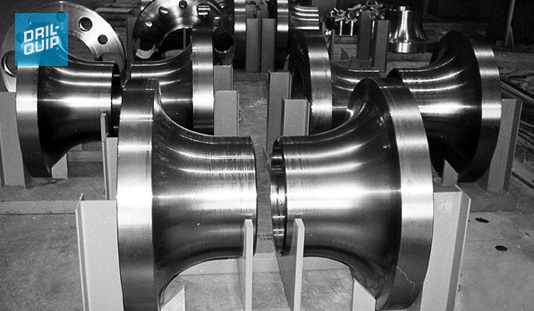 These costs are not measured by equipment price alone; operational costs, maintenance and repair, and life cycle of the equipment are all part of the equation. Riser systems, with extended periods of use under a variety of conditions, must be rugged and reliable, easy to use and maintain, cost-effective and operationally efficient. Designing a marine drilling system that offers the appropriate balance of technology and economy is a challenge, which Dril-Quip has answered with its drilling and production riser systems. Dril-Quip has approached rig operational safety with a new marine drilling riser system. 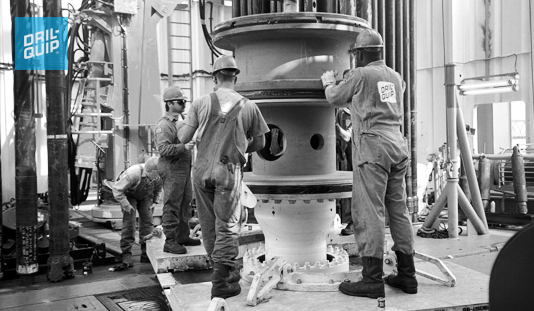 Traditional riser deployment is inherently hazardous because it requires manual effort at the rotary table for joint make-up. 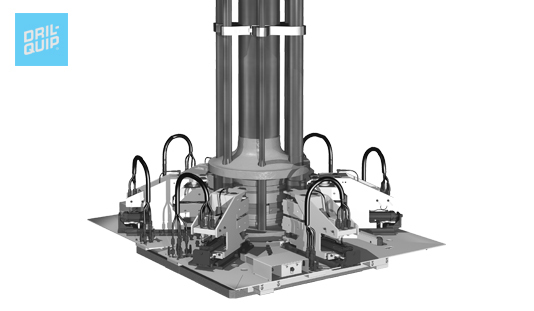 The Dril-Quip HFRe marine drilling riser connector design virtually eliminates the need for rig personnel at the rotary table. 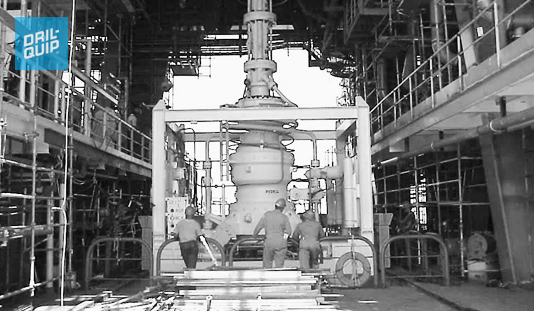 This improves rig safety during riser deployment and reduces HSE risk. Dril-Quip offers a complete line of riser systems that provide features such as stronger connections, additional auxiliary lines, automatic fill-up valves and greater tensioning capacity. Dril-Quip's Marine Drilling Riser Connector designs combine high coupling strength with ease of operations, and meet the stringent durability requirements of today's deepwater drilling operations. Dril-Quip's Diverter Systems provide field-proven protection from shallow gas. These systems are designed for jack-up and platform (MD Diverter System) or for floating drilling operations (MDF Diverter System).